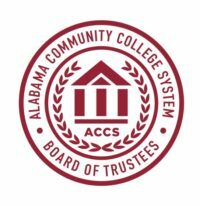 The Alabama Community College System Board of Trustees plays a critical role in the education of hundreds of thousands of adults each year. 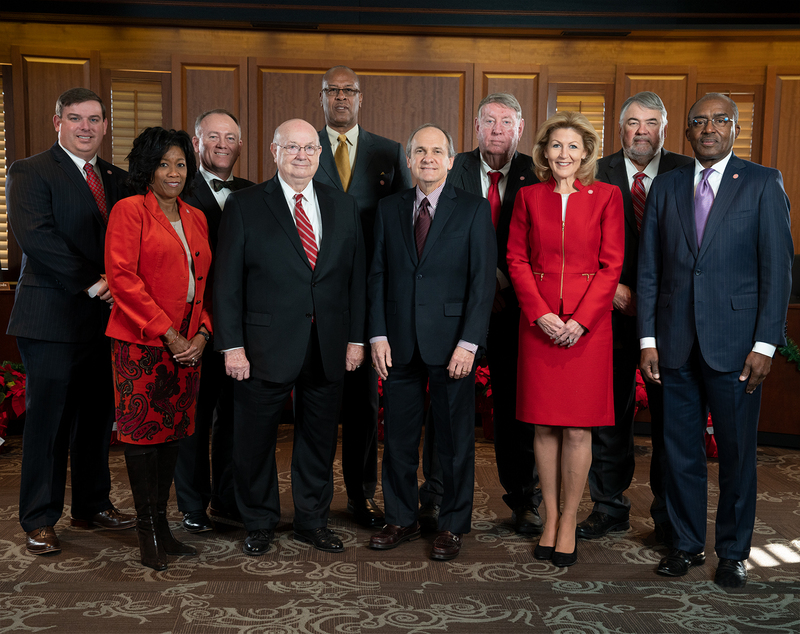 Our Trustees serve as guardians for the Alabama Community College System’s missions and goals, with the Governor serving as chair of the Board by virtue of elected office. Remaining board members are appointed from eight districts, with one statewide member and an ex-officio liaison from the State Board of Education. establishing a performance-based allocation process that is equitable and compatible with the services and programs offered by each individual campus. Growing up in the small town of Camden in Wilcox County and working on her father’s farm taught Kay Ivey to value hard work and living within one’s means. Her parents instilled values of faith, family, and community. 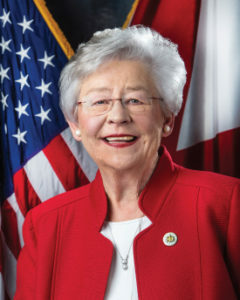 On April 10, 2017, Kay was sworn in as the 54th Governor of the State of Alabama in the Old Senate Chamber in the Alabama State Capitol by Acting Chief Justice Lyn Stuart. Mr. Thompson is a committed public and community servant and has a passion for public education and the development of a skilled workforce to support the development, growth, and expansion of Alabama’s business and industry sectors. Mr. Thompson is a native and resident of Baldwin County where for 35 years he operated specialty clothing stores in Gulf Shores, Spanish Fort, Fairhope, Bay Minette, and Atmore. 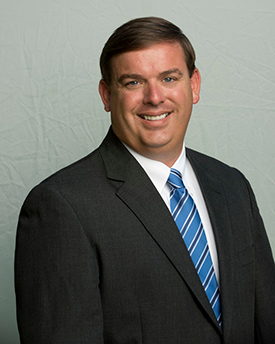 He is currently the owner of Thompson Properties in Baldwin County. 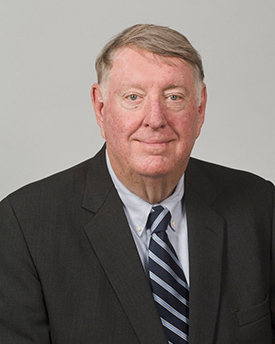 His public service has included serving on the Alabama State Board of Education, the Baldwin County Judicial Commission, the Baldwin County Board of Equalization and the Bay Minette Planning Commission. He is an alumnus of the Alabama Community College System and received his B.S. from Auburn University. Mr. Fantroy is the Plant Manager – Extrusion for Shaw Industries Group. Inc., located in Andalusia, Alabama. He began working with Shaw Industries in 1983. He has served on the Diversity Council at Lurleen B. Wallace Community College and is a past Board Member of the Douglas MacArthur State Technical College Scholarship Foundation. He also served on Manufacture Alabama’s Board of Directors as Treasurer. Mr. Fantroy is a 1980 graduate of the University of Montevallo where he received his B.S. in Business Management. Susan Foy currently serves as the Director of Marketing for the Russell Medical Center in Alexander City, Alabama. Prior to serving in this position, she served as President and CEO of the Alexander City Chamber of Commerce. Mrs. Foy currently serves on the Business Council of Alabama’s Executive Board, Leadership Lake Martin Board of Directors, Alexander City Industrial Development Authority, and as Government Affairs Chairman for the Alexander City Chamber of Commerce. She received her Bachelor of Arts in Communications with a focus in Marketing from the University of Alabama. Mr. Woods is a second-generation entrepreneur and Manager of Jasper Auto Sales. A community college graduate, Woods has been an active supporter of his alma mater, Bevill State Community College, where he served as a student ambassador and president of the Student Government Association at the Jasper Campus. Mr. Woods serves his community in a number of roles including serving as an executive board member of the Walker County Chamber of Commerce, a mentor for high school students through Youth Leadership Walker County, and he is an alumnus of Leadership Walker County. Additionally, Woods is co-founder and president of the Hope After Loss Organization and volunteers for the Walker Area Community Foundation and the Walker College Foundation. Crystal Brown is the Vice President of Business & Investor Development for the Decatur-Morgan County Chamber of Commerce. 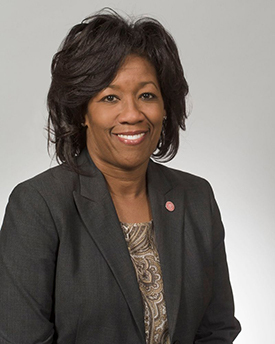 She currently serves on the board of directors for the Chamber of Commerce Association of Alabama and the Community Free Clinic of Decatur-Morgan County. 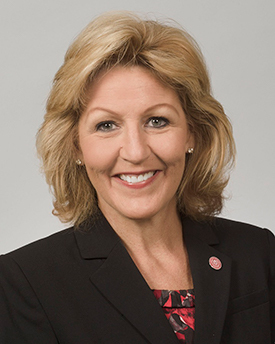 She has actively served on boards for the American Heart Association, the Volunteer Center of Morgan County, Parents and Children Together and as chairman of the board for the Decatur-Morgan County Chamber of Commerce. Ms. Brown is a graduate of the University of Alabama and Leadership Alabama. Ms. Brown resides in Decatur. 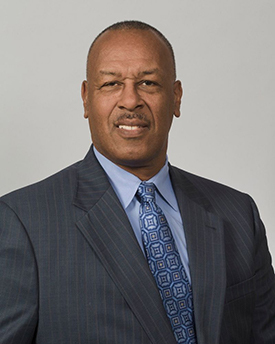 Mr. Milton Davis is the Director of Industrial Business Development for BL Harbert International. His current responsibilities include market analysis, sales, strategic planning, client presentations, risk analysis, and contract negotiations. 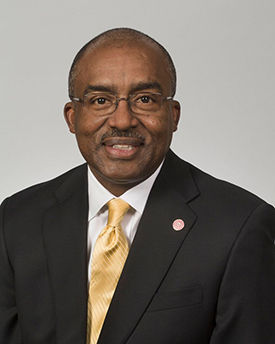 Throughout his career, Milton, a registered Professional Engineer, has received several honors and awards including UA College of Engineering Fellow, UA Centennial Fellow Chemical and Biological Engineering, Distinguished Engineering Fellow of the Chemical and Biological Engineering Department and was an Engineer of the Year by the National Society of Black Engineers, earlier in his career. 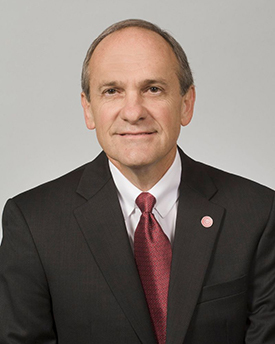 He is on The University of Alabama’s Engineering Leadership Board, National Chair of the UA Capstone Engineering Society Board, National Vice-Chair of UA’s Chemical and Biological Engineering Advisory Board, and member of Tuskegee University Construction Science and Management Industry Advisory Board. He is also co-chair of the Economic Development Committee of Manufacture Alabama, former board member of St. Vincent’s Foundation, board member of Better Basics, board member for the Birmingham Urban League, and an active member of St. Mark the Evangelist Catholic Church, where he is a catechist and lector. Mr. Davis graduated from The University of Alabama with a bachelor’s degree in chemical engineering. Later, he earned an MBA from The University of Alabama at Birmingham and also completed the construction management program at Texas A&M University. 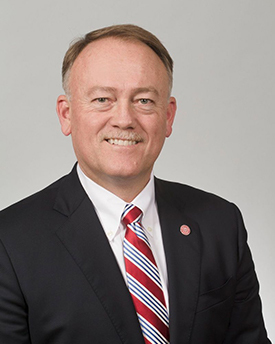 Chuck Smith is the former Human Resources Executive at RockTenn. Corp. Mr. Smith is an experienced executive in the pulp and paper industry and has made his home in Demopolis, Alabama for many years. Mr. Smith has held various HR leadership roles in the industry. Mr. Smith has worked diligently with the local city officials and community college leadership to promote and secure important technical and career training programs to the Black Belt. Through his work and support, Mr. Smith has supported public education and has been recognized for his fund raising and contributions to the local dual enrollment program in Demopolis. Through his support for the career technical and academic programs of the community schools in his area, Mr. Smith has a demonstrated commitment and loyalty to provide students with greater employment opportunities through education and training programs that are relevant to today’s work force. Mr. Blake McAnally became the third owner and president of Pugh Wright McAnally in May 2004. He currently oversees the day-to-day operations of the firm, including serving as a primary contact for all customers. His design work includes civil engineering for site grading and drainage plans, stormwater management plans, roads, utility systems, and commercial development. Additionally, he has more than 14 years of experience with a national multi-discipline engineering and environmental firm. Mr. McAnally has been involved in Industrial Recruitment across North Alabama for the past 30 years and has gained experience through all parts of the process. 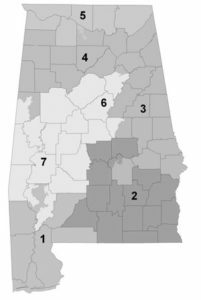 Through the course of his professional work, Mr. McAnally has had much interaction with Workforce Development Agencies, Economic Development Agencies, Power Companies, Rail Companies, Educational Institutions, State of Alabama Agencies, and many County and Municipalities across the state. Mr. McAnally serves and has served on many boards as Director and Chairman, including as Trustee/Elder of his church, Lads to Leaders – National Vice Chair, Decatur-Morgan Co. Chamber of Commerce – Chairman, Decatur Entrepreneurial Center – Chairman, Morgan County Transportation Committee-Chairman, Decatur-Morgan Hospital Foundation – Chairman, River Clay Fine Arts Foundation – Chairman, Decatur City Schools Foundation – Director, Leadership Alabama 2011-12. Mr. McAnally was named the Citizen of the Year for Decatur-Morgan County in 2016. Mr. McAnally earned his Bachelor of Science degree in Civil Engineering Technology from the University of Tennessee at Martin, 1985. Mr. Newman’s philosophy of education is that he strongly believes that our educational system should provide the opportunity for all students to reach their full potential. Whether the goal is to attend a two- or four-year institution, receive a technical or military education, or to enter the work force, we must educate for a purpose, regardless of the wide range of ability levels of the students we serve. He has over 32 years of experience in education and is recently retired as Superintendent of Education of the Lamar County School System. 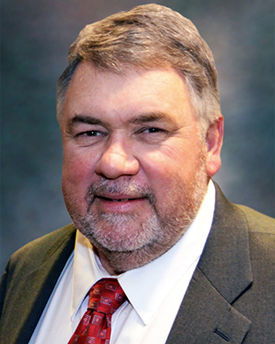 Prior to becoming superintendent, he served as an administrator of federal programs, a career technical principal and director, a high school assistant principal, and an agribusiness teacher. His wife, Brenda, is a retired elementary teacher/reading coach and is National Board Certified in early childhood. They have two daughters and four grandchildren. Both daughters, Crystal and Lisa, are both Alabama teachers. He received a Bachelor of Science in Education with a focus in Agribusiness Education from Auburn University; Master of Education, Agribusiness and Extension Education, Mississippi State University; Master of Education, Administration and Supervision, The University of West Alabama; and an Educational Specialist, Curriculum/Instruction Evaluation and Administration, NOVA Southeastern University. Mr. Newman is a member of the School Superintendents of Alabama, Alabama Farmers Federation, Alabama Association of School Boards, and the Council for Leaders in Alabama Schools.